For over 25 years, PPL Aquatic, Fitness and Spa Group Inc has been the leader in the commercial pool and spa market in the Greater Toronto Area with an impressive list of customers that includes most of the high profile Hotel and Condominium projects. The goal of our construction division is to translate our customer's vision into a well planned and cost effective project. Our range of experience in design, construction and problem solving allows us to ensure that the amenities are fully incorporated into the project master plan. Condominium/ Hotel/Clubs - Our vast experience in facility operation, renovation and supervision allows us to proactively meet the needs of each facility and anticipate code compliance issues. From state of the art cutting edge design such as glass infinity walled pools to the more practical and cost effective pool designs, PPL offers you the highest degree of choice. As the industry leader in B Class pools, PPL is the right choice to take your next project from conceptual through to commissioning, ongoing operation and/or maintenance. Therapeutic/ Special Use Pools - PPL has extensive experience in designing and constructing aquatic and therapeutic facilities for the retirement and hospital markets. We understand the special needs of a retirement and rehabilitation facility and add the features to this type of pool that will make a difference for its users. Quite often, the pools and hydro massage facilities within these retirement communities represent a major resource for health and wellness. PPL Group have won awards for Special Use Pool designed and constructed by PPL Group. 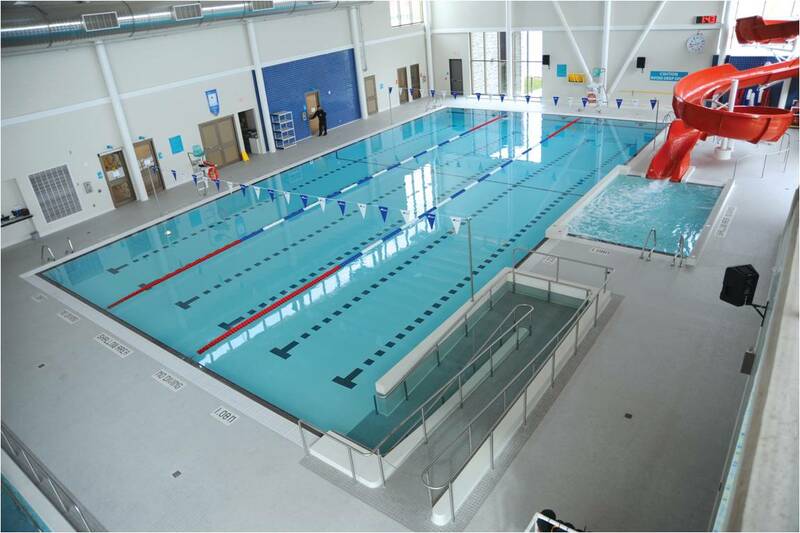 Municipal Pools (Class A) - PPL Group has an impressive list of public pool work completed for municipalities throughout Ontario that range from large leisure complex pools to competitive pools. With the resources it takes to complete this type of facility on time and on budget, PPL Group has proven itself to be a leader in understanding the specific needs related to working in the Municipal and large institutional markets. 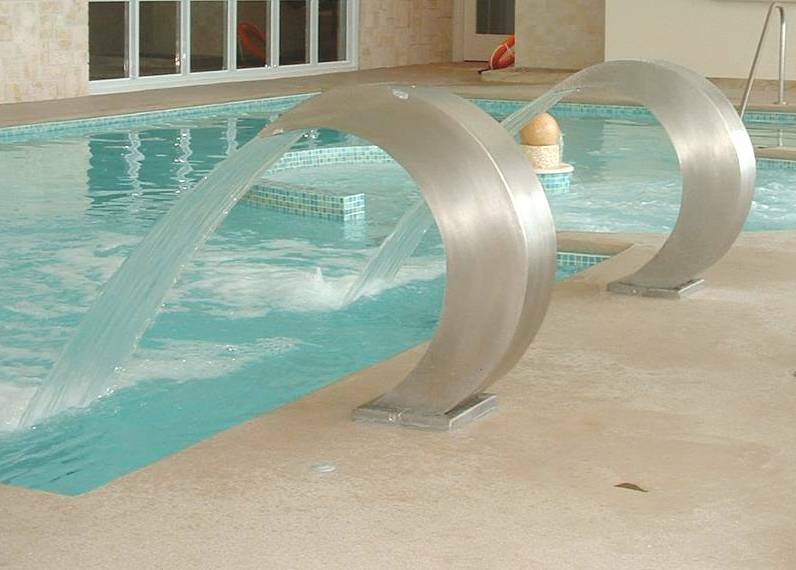 Water & Architectural Features - PPL Group can easily integrate, water features and various other architectural features into a pool or spa that take the facility from the expected to very impressive. PPL Construction Division looks forward to leaving a legacy of quality work that generates pride with everyone of our customers. Our award winning water features represent a range of options, from pre-manufactured units to custom waterfalls, water walls, rain chain systems and reflecting ponds. We work closely with our customers at the early stages of each project and present a wide range of exciting options in pool design and features to determine what combination will achieve the projects goals and expectations and budget. 2.Work as a subcontractor to general contractor without shell construction. 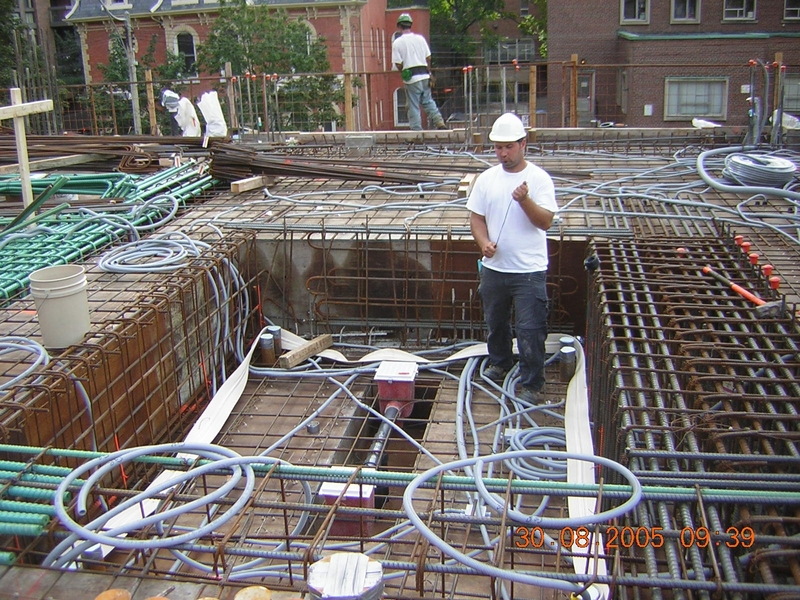 3.Work as a subcontractor to mechanical contractor providing mechanical services. 4.Pool/Spa mechanical and pool design consultant. Call PPL Aquatic, Fitness & Spa Group Inc., for your next building project. Renovations are key to extending the life of a facility, safety and improving operating efficiencies. Renovating or upgrading your pool or hot tub with today’s technology, features and options is an exciting and rewarding way to improve your facility and satisfy your clientele. Whether it is modest repair or a dramatic change, PPL Group will take you through the options and the steps required to ensure your project is successful and maximizes your budget. If it’s time for a change or a repair, let PPL show you how to make an amazing transition from the before to the after. PPL Group has unmatched skills and experience, which is critical to ensuring you will have a quality renovation or repair that will add years of life to your pool or hot tub. It's the quality of workmanship, understanding what is required and the strength to warrant our work that makes us stand out from any other competitor. Our professional staff will lay out the entire plan in advance so you understand what is required, the timelines and all the costs associated with your renovation or repair. Once the decision is made, leave the rest to PPL and watch how quickly your pool will transform into a vibrant, long lasting pool. Don't wait for a minor problem to turn into a major renovation. PPL has a dedicated team of Service Technicians and field representative that respond quickly, assess your problem and quickly determine the best short term and long term repair. 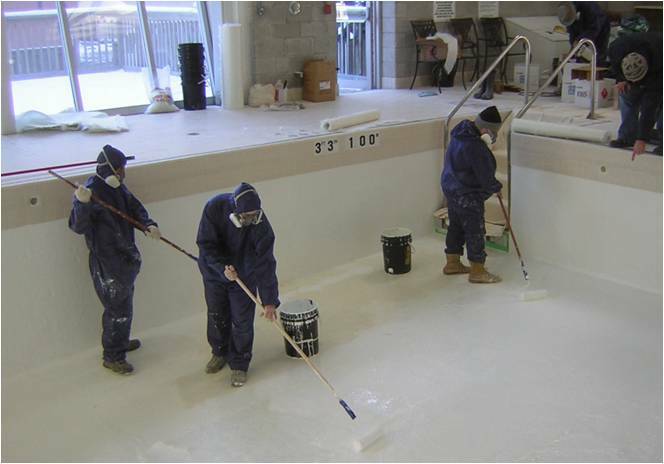 We currently maintain over 100 commercial pools with a large warehouse and construction division. There is no repair that can't be fixed by PPL Group. 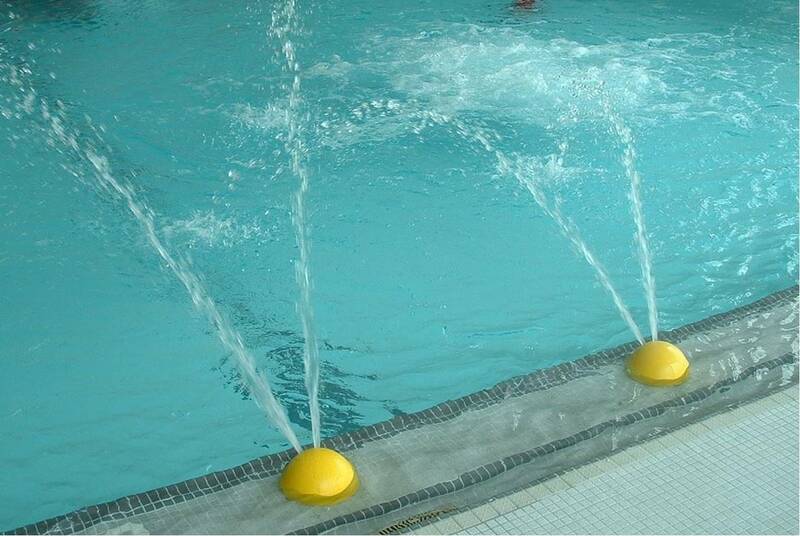 To minimize the chances of your commercial pool requiring a repair, please feel free to enquire about our monthly maintenance programs. Ontario's leading architects, mechanical consultants, developers, general and mechanical contractors have looked to PPL Group for the design and construction of water features such as fountains, waterfalls and water-walls. PPL can assist in the design and planning of your next water feature. Many factors should be taken into consideration when incorporating a water feature either to an indoor or outdoor setting. Waterproofing, appearance, wind, chemical control and flow balance along with water dynamics and cost are some of the factors that will determine the success of your water feature. PPL uses the widest range of components available drawing from both the Water Feature and Pool Industry to allow for the highest cost benefit. PPL construction works with your General Contractor by installing the components and provides full commissioning and maintenance services. Our waterproofing expertise translates well from pools and spas to water features ensuring long-term satisfaction. For your next Water Feature, think PPL as your first resource. PPL also has a wide range of pool features to enhance the functionality and/or the aesthetics of your pool. Features can range from play, therapeutic and aesthetic and can be permanent or controlled depending on the usage. 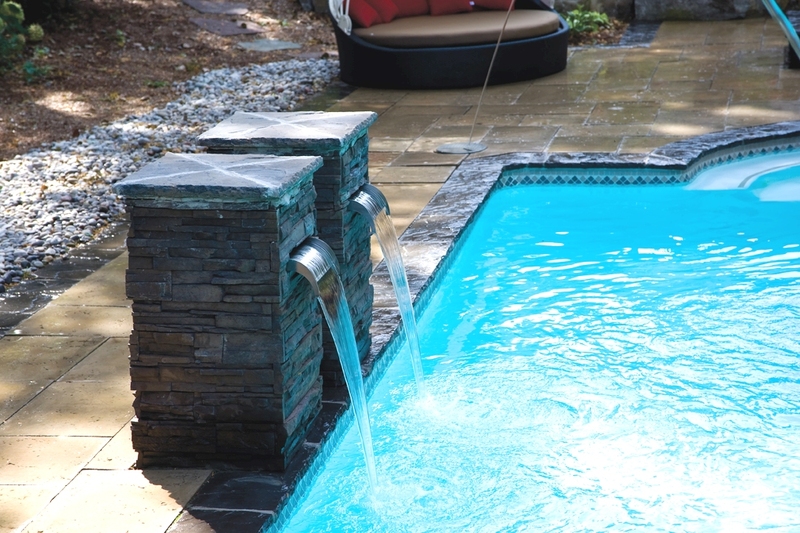 Pool features need to be accounted for in the design and like any water feature requires a solid mechanical design to ensure waterflow is what you want, when you want it.